There are numerous ways to split PDF files for free by using free software programs online. But there are also security issues when it comes to exposing confidential information. This article will highlight the different tools you can use if you are wondering how to split PDF with various free PDF splitters on the market, including the best PDF splitter - PDFelement . PDFelement, is a program tailored to creating and editing PDF files. With the help of this program, users will be able to create new PDFs from other files, view PDF documents and convert them into various other formats. You can use it to e-sign and validate documents. PDFelement is the best tool for splitting PDF pages into separate files. It makes splitting documents very easy and reliable. Simply follow the steps outlined below. Launch PDFelement, then open the PDF file you want to split by clicking the "Open File..." button and browsing your local folders. The simplest way to open your files is to drag and drop them into the program. Go to the "Page" tab, and you'll see a group of buttons which allow you to manage PDF pages, including extract or deleting PDF pages, rotating the page orientation, or replacing PDF pages. 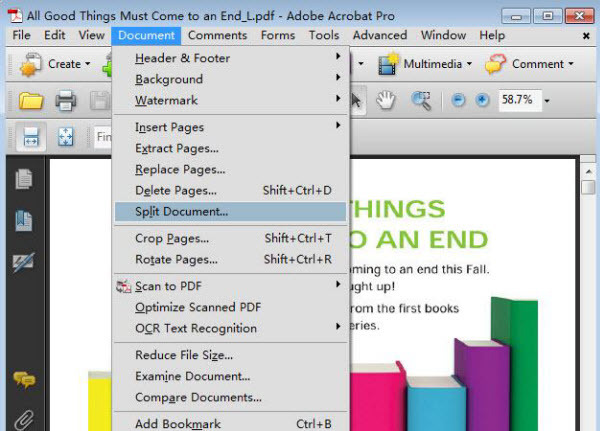 Click the "Split" button to split the PDF document. A new window will appear; in this window you'll be able to select the page numbers or top-level bookmarks to split. After your selection is ready, click on "OK" to complete the process. You'll see the new PDF files saved in the output folder. 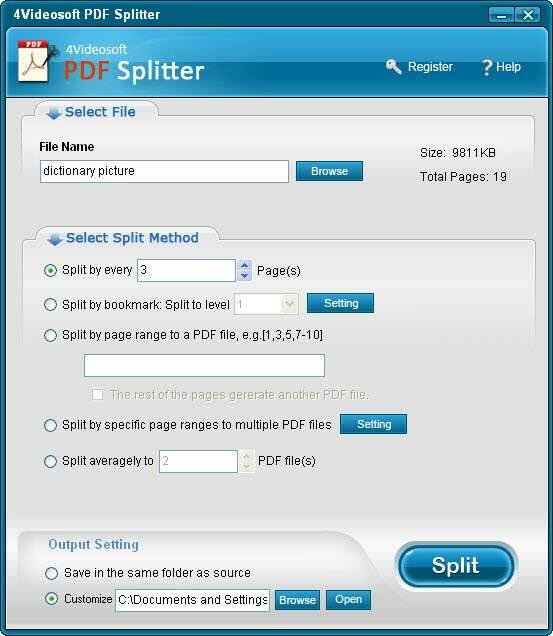 Number of Pages: You can enter the page quantity of the split PDF file here. For example, if you want to split your PDF into two files and your PDF has 10 pages, then you can enter 5 in the Maximum pages box. The program will turn every 5 pages into a separate PDF file, so you'll end up with 2 PDF files that contain 5 pages each. Top-level Bookmarks: If your PDF document contains bookmarks to mark each section, then you can use this option. It will help you split PDF pages into separate files according to how the bookmarks are set up. Google Chrome is more than just a browser. You can also use Google Chrome to split PDF documents that you find from a web source directly. Sound complicated? It's not at all! It's actually extremely easy and straightforward. The following step-by-step guide shows how to split a PDF file using Google Chrome. Step 1: Install Google Chrome if you do not have it installed on your computer already. You can download it through Google's official website. Step 2: Open the PDF file you want to split in Google chrome. One of the best ways to do this is to drag and drop the PDF file into an open chrome tab. Step 3: Click the "Print" Button. Note that the "Print" button is in the row of buttons that normally appears in the Settings tool. Step 4: Click the "Save as PDF" button in the "Local Destination" section. Enter the number of pages required for the new document. For example, if you enter 1-3, then it will save the first 3 pages as a new PDF file. Step 5: Click the "Save" button and name the new PDF file. Then you can save it to your computer. Repeat the process as needed to split other pages from the PDF file. Adobe® Acrobat® is a great tool that allows you to split PDF files in a number of different ways. Note that both the paid and free version can be used. To split a PDF, Acrobat users can follow the steps below. Step 1: Open the PDF document that you intend to split in Adobe. Click the "Tools" button on the left side of the window. Step 2: You will have to expand the "Pages" section of the tools panel. Click "Split Document Button". Step 3: Set the pages for the new file. Step 4: Click "Output Options" to select the saved location of the new file. Step 5: Click "OK" to split the file. The tools above provide some of the easiest methods for splitting PDF files. However, PDFelement beats them all due to its simplicity, ease of use, and high quality output. Other functions of PDFelement includes PDF conversions and merging, among others. 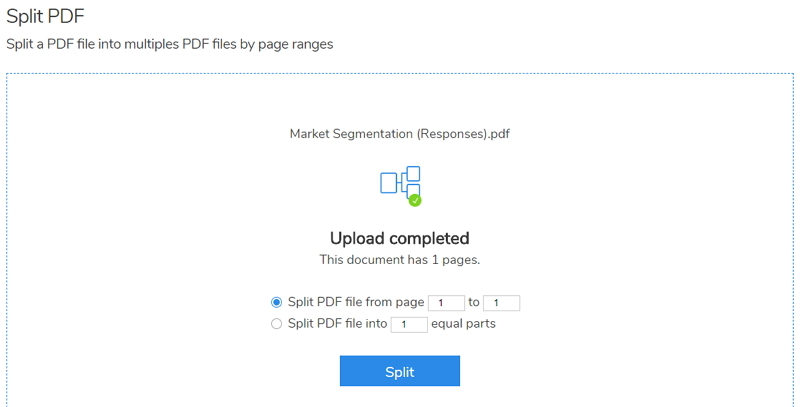 Take advantage of the benefits of PDFelement to split your PDF with the exact results you're looking for. For Mac users, it's also very easy to split PDF documents on Mac. 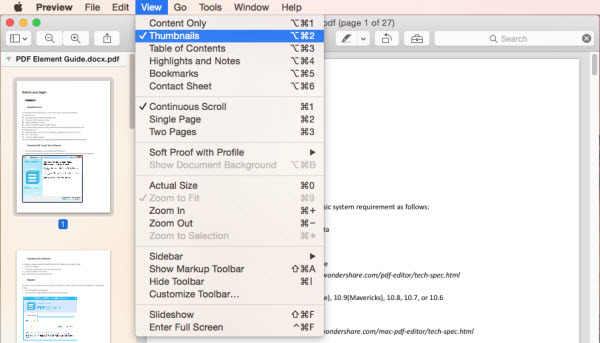 Preview is a built-in Mac application program that lets you split PDF document. Read the following instructions to find out how to split a PDF in Preview. Step 1: Open the PDF file in Preview. Note that if your PDF files are not set to open in Preview, another way is to right click on the file you want to split and click "Open with" Preview. Step 2: Click the "View" Menu and select "Thumbnails". It will display all the pages of the PDF. Step 3: Drag and drop each page you will like to split from the thumbnail pane to the desktop. Hipdf is a free online tool that lets you split PDF files. It's easy to use with a straightforward interface. Take a look at the following guide to learn how you can split PDF pages online for free! 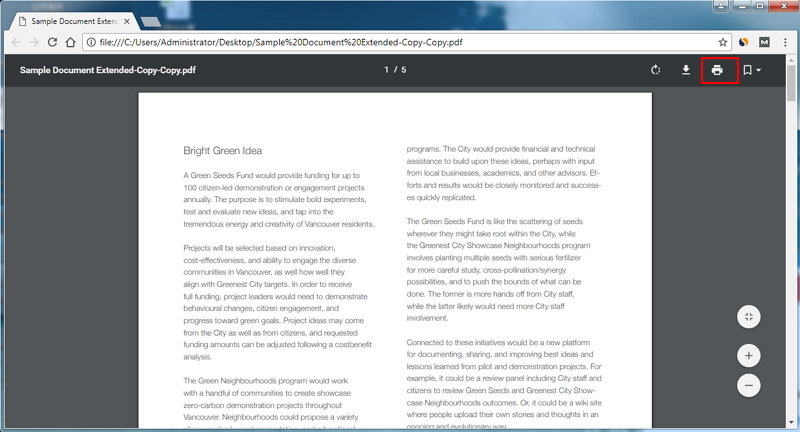 Step 1: Select the "Split PDF" button on the home page. 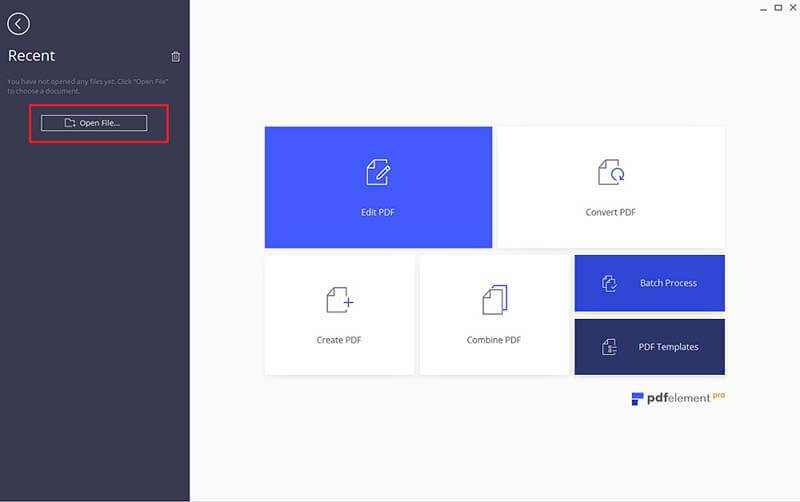 Step 2: Use the "Choose File" button to browse for your target PDF or drag the target PDF that you want to split into the box to upload directly. Step 3: Choose an option to split PDFs into separate files either by a page range to split unevenly or by equal page quantity to split evenly. 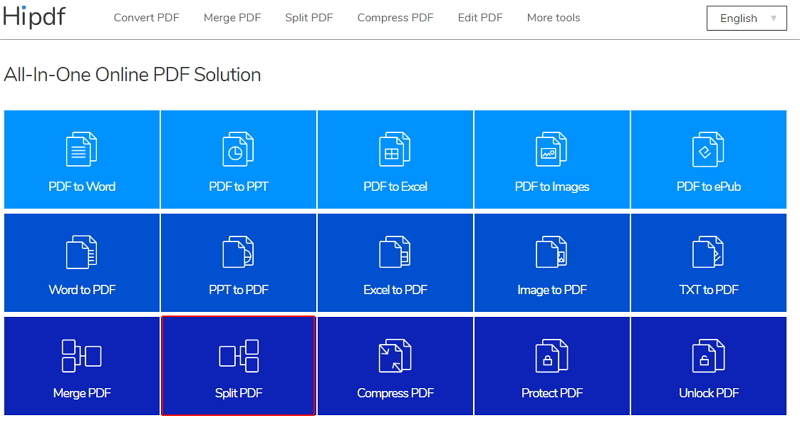 For more solutions about PDF split and merge online, visit the link. Estelar PDF Splitter is a highly developed tool designed particularly to split PDFs free of cost. There are three ways to split a PDF file. 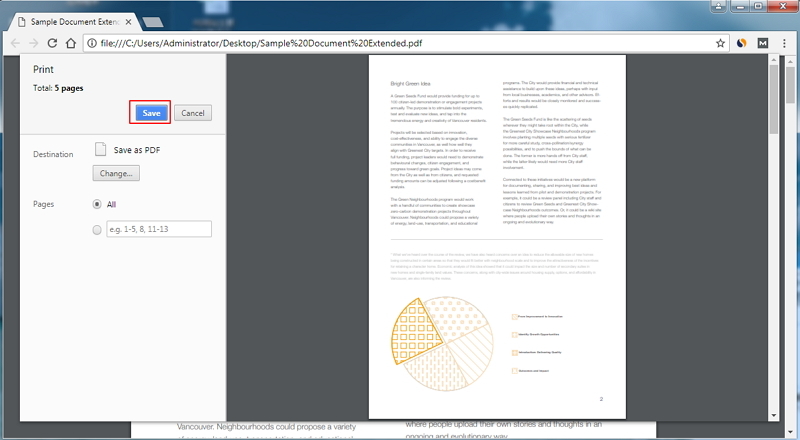 First, you can split a PDF document into multiple parts. 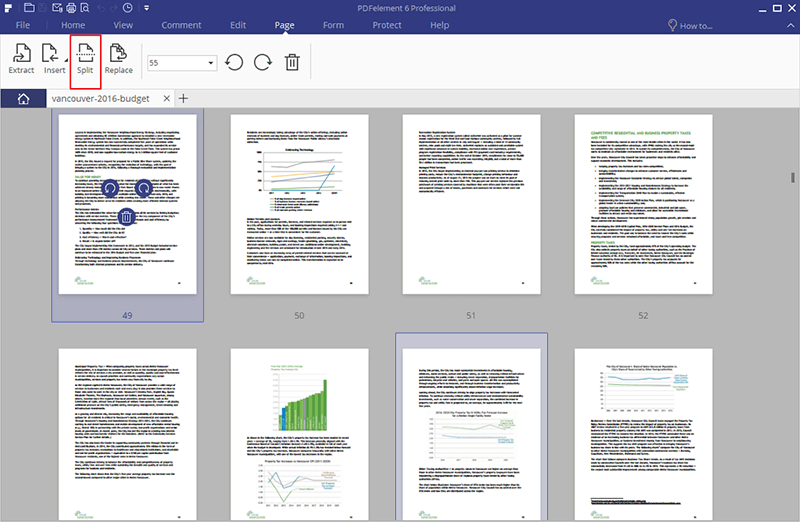 Second, you can split PDFs by page numbers, or third you can extract a range of pages from a large PDF file. You can also use the drag and drop option to split PDF files using this freeware tool. 4Videosoft PDF Splitter is a split PDF freeware that makes it very easy to split a PDF file into multiple separate pages. There are many different methods to split PDF files. You can split by the number of pages, split by bookmark, or split by a specific page range. Their interface ensures that the splitting process can be done in only a few steps. 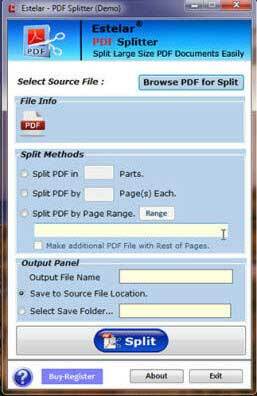 7-PDF Split and Merge is a split PDF freeware which can be used to merge and split PDF documents into multiple files. It splits PDFs using an easy and fast process. Password protected files can be easily split into PDF files as well. It is claimed that it is 3 times faster than other similar software tools. You can also use a portable version of this software, which can be used anywhere to split a PDF file. This split PDF free software can be used for 30 days. It has a well-designed user interface. Some of the features and options make it confusing for users to split PDFs into multiple files. PDFsam is available in two versions: PDFsam Basic and PDFsam Enhanced. The former is a PDF split free software and the latter is a paid program. PDFsam Basic is a software designed to split PDF files into pages, and merge and rotate PDF files. There are six modules to rotate, mix, split, and merge PDF documents. PDFsam Basic will cover most of your PDF related needs when it comes to splitting and merging PDF documents. This online program helps split PDF files free of charge. It is simple and can be used from anywhere if you have an internet connection. You can split PDF files any way you want with minimized additional features to customize your PDF output files. The compression level of the output can be adjusted, and there is also the batch processing feature. You can also merge PDF files using this online tool and there is no drop in quality of the PDF pages after conversion. 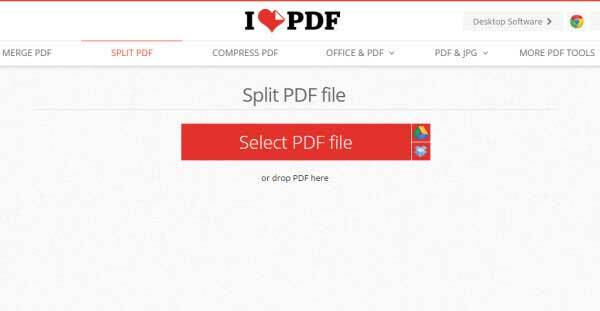 PDFSplit is another free online tool to split PDF into separate files. It includes drag and drop options where users can drag PDF files and drop them into the program to split into separate PDF pages. If you have PDF documents uploaded in Google Drive and Dropbox, you can easily split them by pasting the link to the files. It also allows users to extract PDF files after uploading them, and provide names for the pages required to be split. It also offers many other services like converting, merging and compressing PDF files. 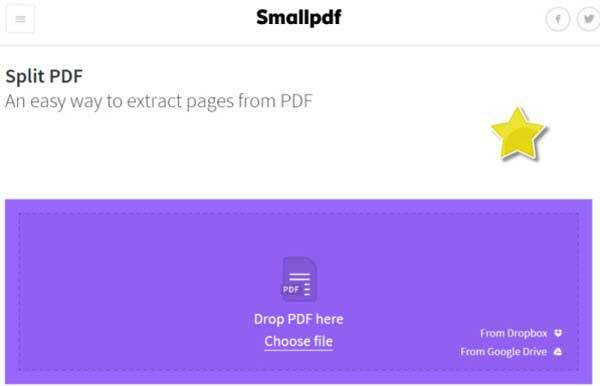 Small PDF is an online tool that lets you split PDF files for free without using any software. 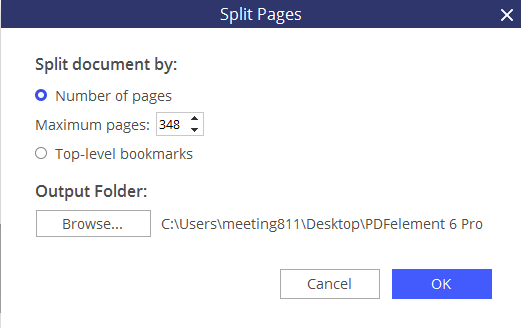 You can just drag and drop the PDF file you want to split, and then press the split button after you set the specific pages required for splitting. This tool offers a feature to upload files directly from Google Drive and Dropbox. There are many tasks that can be done using this online tool to convert and merge PDF files. The iLovePDF online tool has been designed to perform many functions. Splitting PDF files can be done using this online application because it has many additional options for customization. After dropping your files into the program, you can select the pages you want to extract. After pressing Split PDF, it will separate a PDF into multiple files, and the files will be available for the next hour. A link is generated after the files are split, and you can share them directly by copying the link. The available features are not very advanced. 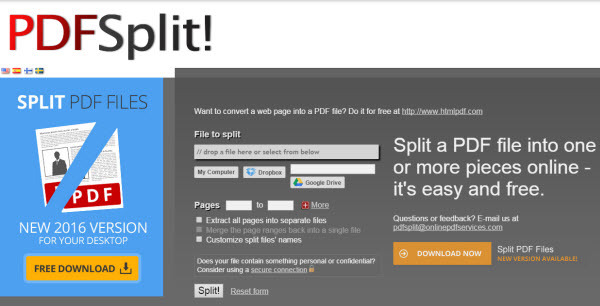 FoxyUtils SplitPDF is an online tool that enables you to split PDF files using a website. Simply drag and drop the PDF file into the site, select the pages you want to extract, and press split PDF. It can consistently split many PDF files at once and it doesn't require any software or registration to split PDFs online. It also allows the users to directly upload PDF files from Google Drive and Dropbox.